Mr. Ömer Karakuş received his bachelor's degree at the Department of Public Administration, Faculty of Economics and Administrative Sciences, Gazi University. 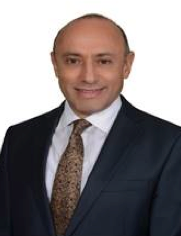 Starting his career as Assistant Internal Auditor at the Internal Audit Department of İşbank in 1989, Mr. Karakuş was appointed as Assistant Manager at the Accounting Department in 1998, and worked as Unit Manager in the same Department. Mr. Karakuş was appointed as the Head of Accounting Department in 2005, as Manager of Yenişehir, Ankara Branch in 2007, as Head of Human Resources Management in 2008, and as the Chairman of the Board of Internal Audit on 15.1.2016 in the same organization. 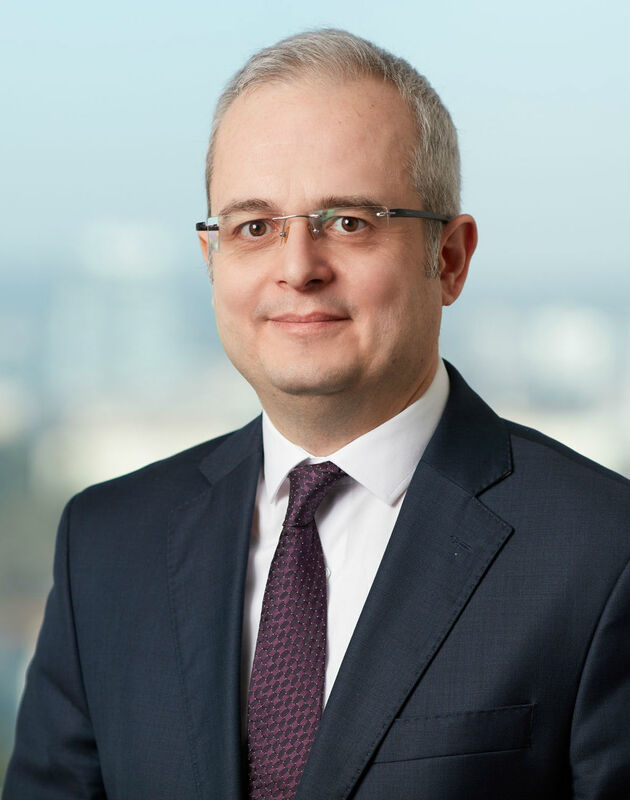 Mr. Karakuş was promoted to Deputy Chief Executive of İşbank in April 27, 2017. Mr. Karakuş served as member of the Board of Directors at Nemtaş Shipping Company between 2005 and 2006, Anadolu Insurance Company between 2006 and 2010, Anadolu Hayat Emeklilik Company between 2010 and 2012, Bayek Tedavi Sağlık Hizmetleri ve İşletmeciliği Company between 2012 and 2013 and İşbank AG between 2013 and 2016. Mr. Karakuş does not hold any in-group company positions other than his position in İşbank and seat as a member of the Board of Directors at İş REIC. Mr. Karakuş is a Board member at İş REIC since May 16, 2017. Mr. Süleyman H. Özcan received his bachelor's degree at the Department of Economics, Boğaziçi University, and started his career as Assistant Internal Auditor at the Internal Audit Department of İşbank in 1993. Mr. Özcan was appointed as Assistant Manager of Accounting Department of the same organization in 2001, and then served as Group Manager of Accounting Department, Unit Manager of Project and Change Management Department, and Strategy and Corporate Performance Management Department. Holding a position within the Group in addition to serving as member of the Board of İş REIC, Mr. Özcan has been acting as the Head of Investor Relations Department of İşbank since 26.03.2009 and also a member of the Corporate Governance Committee at İşbank. Mr. Özcan is a member of the Board of Directors at İş REIC since December 8, 2014 and a member of the Corporate Governance Committee. Ms. Aysel Tacer received her bachelor's degree at the Department of Business Administration, Faculty of Economics and Administrative Sciences, Marmara University, and started her career as an officer at the Taksim Branch of İşbank in 1980. Ms. Tacer served as Assistant Service Officer and Financial Analyst at the Department of Information and Financial Analysis between 1983 and 1989. She started working as Credit Assistant Associate at Şişli Branch in 1989 and as Assistant Manager at the same branch in 1993. She worked as manager at Akatlar, Çarşı-Bakırköy, Bakırköy, Güneşli and Güneşli Corporate Branches between 1996 and 2011. Ms. Tacer worked as member of the Audit Committee at Tuba-Sim Konsorsiyumu Company between 1994 and 1996, as member of the Audit Committee at İş Faktoring Company between 1999 and 2001, and as member of the Board of Directors at Camiş Madencilik Company between 2001 and 2005, at Anadolu Sigorta between 2005 and 2009, and İş Private Equity Company between 2009 and 2011. 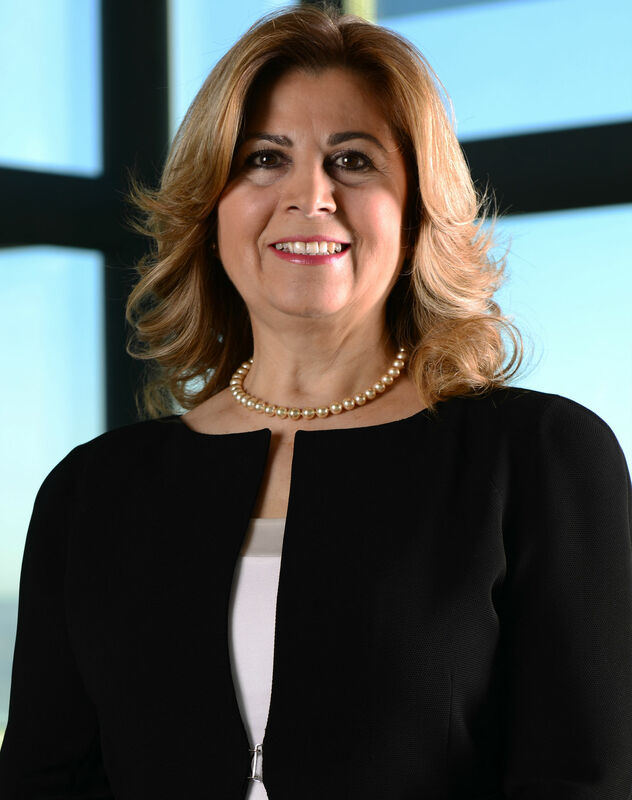 Ms. Tacer was as member of the Board of Directors of İşbank on March 31, 2011 and March 28, 2014. She served as member of the Board until March 21, 2016, acting as member of the Corporate Social Responsibility Committee and as substitute member of the Credit Committee during her term. Ms. Tacer retired from İşbank on June 30, 2015. Ms. Tacer does not hold any in-group positions other than her seat as a member of the Board of Directors at İş REIC as of April 11, 2016. Prof. Dr. Arzu Erdem, received her bachelor's degree at the Faculty of Architecture, Istanbul Technical University as architect in 1983, her MSc at the Graduate School of Social Sciences in 1985, and her PhD at the Graduate School of Natural and Applied Sciences in 1995 at the same University. She started her career as Project Coordinator at STFA Construction Investments Inc. in 1986. Ms. Erdem was a visiting research fellow at the Los Angeles Graduate School of Architecture and Urban Planning, University of California between 1991 and 1992. Ms. Erdem worked as Research Associate, Assistant Professor, Associate Professor and Professor at the Faculty of Architecture, Istanbul Technical University between 1988 and 2009. Ms. Erdem served as Head of the Department of Architecture at the same University between 2012 and 2013. Appointed as Dean of the Faculty of Architecture, Abdullah Gül University between 2015 and 2017, Ms. Erdem retired from the Faculty of Architecture, Istanbul Technical University in 2017. She is currently the Acting Chair and the Dean of the Faculty of Art and Design, Kadir Has University. Ms. Erdem performed national and international academic and professional studies and tasks; served as contest judge; participated in and was awarded for contest projects, professional architectural projects, applications, and studies; and authored numerous scientific articles and presentations. Ms. Erdem also serves as member of the Board of Rubicon Foundation (The Netherlands), which carries out studies and researches on natural life and bio-diversity, and as Turkish Science Committee of the International Venice Architecture Biennale.Having been appointed as member of the Board of Directors of İş REIC since March 21, 2018, Ms. Erdem does not hold any in-group position. She is also the Head of Corporate Governance Committee, as well as the Member of the Committee for Early Detection of Risk in İş REIC. Mr. Haluk Büyükbaş received his BSc and MSc in electrical engineering from the Middle East Technical University in 1980, and 1983, respectively. Starting his career as an engineer at the Department of Research and Planning, Turkish Power Authority in 1980, Mr. Büyükbaş worked as engineer, chief engineer and project manager at the Project Department of Transmission Lines and Transformer Centers, Turkish Power Authority between 1981 and 1989. Mr. Büyükbaş served as Head of Division at the Turkish Public Enterprise Administration between 1989 and 1995, and as Assistant General Manager Public Finance General Directorate, Turkish Undersecretariat of Treasury between 1995 and 1997. Serving as Deputy Chairman of the Privatization Board of Turkey between 1997 and 2003, Mr. Büyükbaş’s tasks during this period included the privatization of oil and energy companies. After working as Advisor to the Chairman at the Privatization Board of Turkey between 2003 and 2005, he retired from the public service in 2005. Mr. Büyükbaş served as member of Board of Directors and Board of Auditors at various companies, mainly including TÜPRAŞ, PETKIM, ERDEMIR and ÇEAŞ during his public service career. Mr. Büyükbaş served in managerial positions as the Secretary General of the Turkish Contractors Association (TCA) between August 2005-January 2019. In connection with this position, he has also been serving as Governor at the World Water Council headquartered in Marseilles since 2006. Having been appointed as member of the Board of Directors of İş REIC since March 24, 2016, Mr. Büyükbaş does not hold any in-group position. He is also the Head of Committee for Early Detection of Risk, as well as the Member of the Committee for Audit in İş REIC. Mr. Nihat Uzunoğlu received his degree in political sciences from Ankara University in 1981 and started to work as Junior Accountant at the Ministry of Finance the same year. He was appointed to the position of Accountant in 1984, ranking first in his term, and to the position of Chief Accountant in 1991. Mr. Uzunoğlu conducted studies and research on “Self-Regulation Organization in the British Tax System” for one year in the UK, between 1989‑1990. On 13 March 1994, he was assigned as the first Director of the Foreign Trade Tax Administration that was just established, in which post he served for 3.5 years. He then served as the Assistant Head of Provincial Treasury of İstanbul from July 1997 to August 2004. Mr. Uzunoğlu was re‑appointed to the Tax Inspectors Board as Chief Tax Inspector in August 2004, where he served in various functions including member of the Reading Commission and member of the Advisory Commission. Mr. Uzunoğlu served as the President of the Finance Tax Inspectors Association for four terms between 2005 and 2009, and retired from civil service in January 2014. He currently offers advisory in tax, insurance and other financial legislation at RSM TR Yeminli Mali Müşavirlik A.Ş. and also provides training activities on tax implementations at the “HUZ ACADEMY”, which is a joint institution of the Tax Inspectors Association and Tax Inspectors Foundation. Mr. Uzunoğlu is the author of a two-volume book set titled Herkes İçin Katma Değer Vergisi Kanunu Yorum ve Açıklamaları (Value Added Tax Law Interpreted and Explained for the Layman) published by the Finance Tax Inspectors Association. Mr. Uzunoğlu has been a Member of İş REIC’s Board of Directors since 24 March 2016 and he is also the head of the Committee for Audit. Mr. Uzunoğlu does not hold any other in-group position apart from his roles at İş REIC. Mr. İ.Hakkı Akşener received his bachelor's degree in electrical and electronics engineering at the Middle East Technical University, and started his career as Electrical Engineer at the Property Development Department of İşbank in 1985. He served as Assistant Manager at the IT Department in 1993, and as Group Manager at the same Department in 1998. 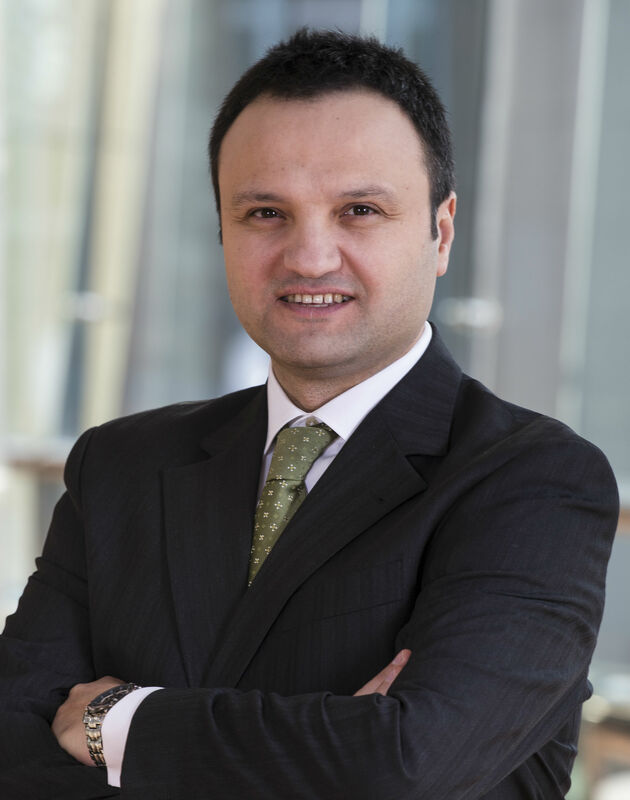 Mr. Akşener worked as General Manager of İş Net, a subsidiary of İşbank between 2003 and 2010. Starting to work as Counselor to General Manager of İşbank as the General Coordinator of TUTOM in February 25, 2010, Mr. Akşener was appointed as the Head of the Construction and Property Management in April 27, 2017. Holding a position within the Group in addition to serving as member of the Board of İş REIC, Mr. Akşener has been acting as Head of the Construction and Property Management of İşbank and also a member of the Board of Directors at İş Altınhas. Mr. Akşener has been serving as member of the Board of Directors at İş REIC since March 21, 2018. Mr. Mehmet Türk received his bachelor's degree in civil engineering at the Middle East Technical University, and his MsC in “Advanced Investment Management” programme at the Department of Business Administration, Virginia Polytechnic Institute and State University, and his PhD in contemporary business management at the Graduate School of Social Sciences, Işık University. Mr. Türk has published research articles in international journals on finance and economy. Starting to work as Associate Expert at the Treasury Department of İşbank in 2000, Mr. Türk was promoted as Assistant Manager and Unit Manager in 2009 and 2016, respectively, at the same Department. As of November 28, 2017, Mr. Türk continues to serve as Treasury Manager at the Treasury Department of İşbank. Mr. Türk does not hold any in-group positions other than his position in İşbank and seat as a member of the Board of Directors at İş REIC. Mr. Türk is a Board member at İş REIC since March 21, 2018. Mr. Murat Doğan received his BSc in industrial engineering from Istanbul Technical University in 2000, and joined İşbank as an assistant specialist in İşbank’s Subsidiaries Division. He currently serves as Unit Manager for REIC and Healthcare Companies in the division. 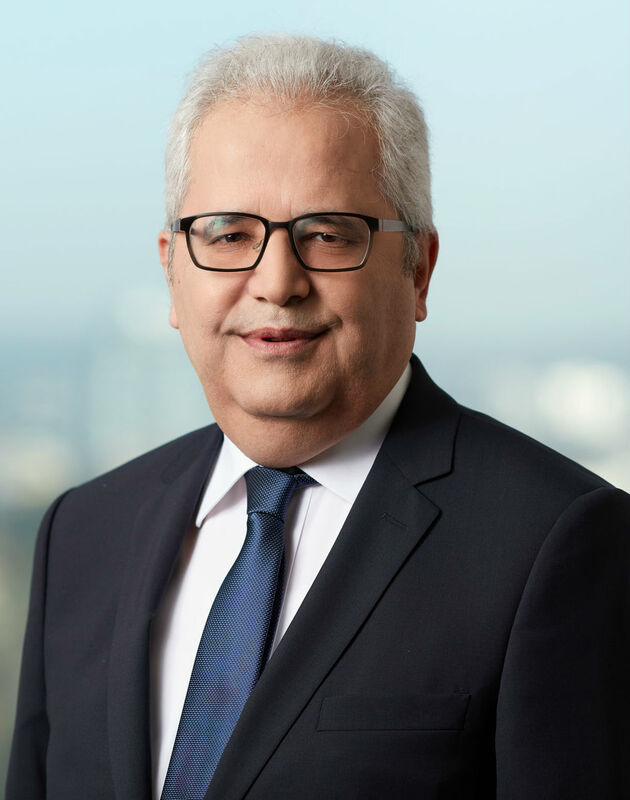 Holding in-group positions in addition to his seat on the Board of Directors of İş REIC, Mr. Doğan is a Board member at subsidiaries of İşbank; Bayek, İşmer, Erişim Müşteri Hizmetleri and İş-Altınhas. Having served as a member of the Company’s Board of Auditors at İş REIC from 2010 to 2012, Mr. Doğan has been holding a seat on İş REIC’s Board of Directors since December 8, 2014. He is also a member of the Corporate Governance Committee and the Committee for Early Detection of Risk. The business of the Company shall be managed by a Board of Directors consisting of members selected by the General Assembly in the number and manner stipulated in the Company articles of association. One member of the Board of Directors shall be selected from among the candidates of Group B shareholders and the rest shall be selected from among the candidates of Group A shareholders. The Capital Markets Board Communiqué on Principles Regarding Real Estate Investment Trusts, the Turkish Commercial Code and other relevant capital market legislation on qualifications sought in members shall be complied with when forming the Company Board of Directors. Majority of the members of the Board of Directors should be Turkish citizens. The term of duty and principles regarding re-election of the Members of the Board of Directors are furnished in the Company articles of association. If a membership becomes vacant for any reason whatsoever, the Board of Directors elects a new member in compliance with the Turkish Commercial Code and capital market legislation to serve until the first general assembly meeting and submits this issue to the approval of the next general assembly. The vacancy is thus filled by the member elected. The members of the Board of Directors may be dismissed at any time by the General Assembly. 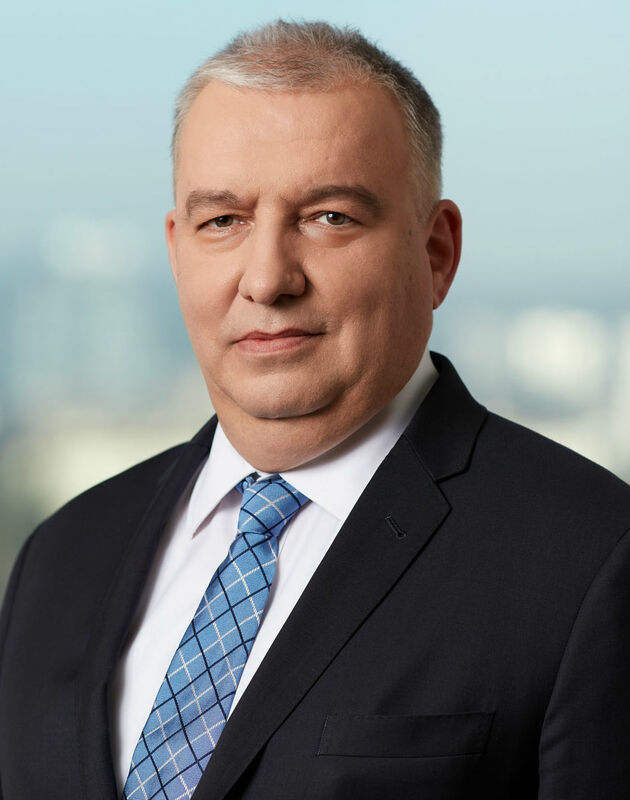 Any Member of the Board of Directors, who plans to resign, shall notify the Board of Directors of his planned resignation giving a reasonable notice period, considering his previously assigned duties and responsibilities, in a manner preventing any delay or hindrance to important business of the Company. The Board of Directors shall convene at any time deemed necessary for the business of the Company, upon invitation of the Chairman or the deputy chairman of the Board of Directors. Any member of the Board of Directors may ask the chairman of the board of directors to invite the board to convene. The agenda of the meeting is determined by the Chairman of the Board of Directors. However, the agenda may also be determined through a Board of Directors decision. The place of the meeting shall be the Company Headquarters. However, the Board of Directors may convene at any other place under the terms and conditions determined in the Company Articles of Association, upon decision of the Board of Directors. The provisions of Company Articles of Association and relevant legislation shall be applicable in meeting and decision quorums for the Board of Directors. The Company is managed and represented by the Board of Directors. The Board of Directors executes the duties assigned to it by the Turkish Commercial Code, Capital Markets Legislation, other relevant legislation and the decisions of the General Assembly. Any document to be given by the Company and bind the Company shall be valid only if the principles of the articles of association are complied with. The Corporate Governance Principles of the Capital Markets Board are complied with in forming the committees. The issues relating to scope of duties, work principles and members who will form the Committees shall be determined by the Board of Directors and publicly announced.